Hey everyone, today I’m going to share my shopping experience with a new online shopping store ‘Impressionskb.com‘. Impressions is actually a very popular offline beauty store (shop) in Karol Bagh, Delhi and the beauty lovers call it a makeup paradise. They offer a wide range of beauty products (skincare, haircare, makeup & more) from affordable to high-end brands. Recently they’ve started their online shopping site and Instagram page too. 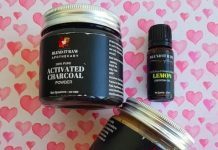 I came across their online store while I was searching for Miss Claire lip balms. So I placed my order a few weeks back and today I’ll be sharing my shopping experience with them. The website loads pretty fast and it’s easy to navigate. They offer a range of skincare, haircare, and makeup products from popular drugstore brands (like Colorbar, Revlon, Nivea, Neutrogena etc.) to luxury brands (like Urban Decay, Burberry, Anastasia, Too Faced etc). They use Fedex Express to deliver their packages all over India. All the products came bubble wrapped inside a sturdy carton and I received my package within 2 days in Delhi NCR. They offer free shipping on orders over Rs.499 and payment can be made by credit/debit cards, including Master & Visa cards. COD option is also available. They sell some products which are not easily available like Miss Claire lip creams, Sivanna Cosmetic products and more. The website layout is not very user-friendly. It does not look like a professional website. They do not send order confirmation email after placing the order. They do not show any extra charges (like cash on delivery) on the product page or not even in the total amount on the checkout page! They just mention in a bracket on the checkout page that they will charge for Rs.50 per item for COD! This is the first policy I have seen so far where someone charges for COD per item and not per order! Limited number of products listed for sale. About website: At Impressions, our vision is to be Earth’s most customer centric store; to build a place where people can come to find and discover virtually anything they want to buy online. With impressionskb.com, we endeavor to build that same destination in India by giving customers more of what they want – vast selection, low prices, fast and reliable delivery, and a trusted and convenient online shopping experience. We are committed to ensure 100% Authentic Purchase for your shopping done on impressionskb.com so that you can benefit from a safe and secure online ordering experience, convenient payment options such as cash on delivery and enjoy a completely hassle free online shopping experience. We at Impressions had started with a small shop located at the most busiest commercial market location of Karol Bagh by respected S. Inderjeet Singh in the year 1996 with imported make-up and cosmetic products. Now with the blessings of Almight & hard work and dedication of his sons S. Ravinder Singh and S. Gurpreet Singh, the business has reached to it’s peak. Impressions, is now a very renowned name not only in Delhi but also in NCR areas. We now, not only deal in local & International make-up and cosmetic products such as Colorbar, Diana of London, Revlon, Lakme, Chambor, Kryolan, Maybelline, Avon, Olay and many more. But also in all International brands of Perfumes & Body Sprays. Men & Women grooming products such as Philips, Remington, Babliss, Vega, Ikonic are just few of them. Bath & Beauty product brands of Olay, Imperial Leather, Dove, Camey, Vaseline, Bath & Body, Victoria’s Secret, Johnson’s, Gillette, Pantene, Organix, Netrogena, Tresemme, Grace Cole, St. Ives, Boutique, Bottega Di Lungavita, Enchanteur, Jergens. Overall I had a good shopping experience with Impressionskb.com. I really liked the range of products they offer especially Miss claire & Sivanna products that are not widely available online in India. The only thing that I didn't like about the store is that they charge for COD per item and not per order. 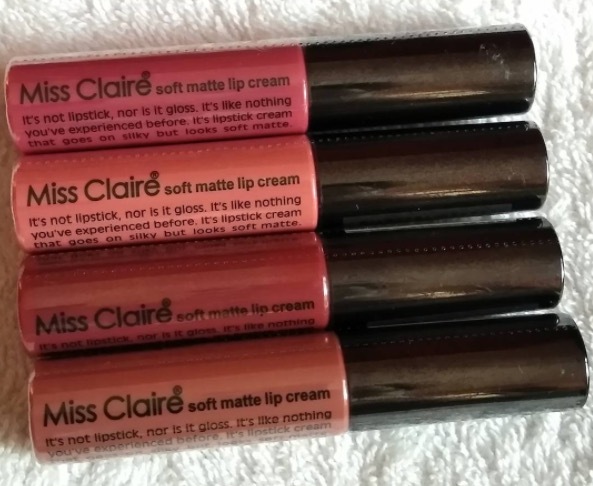 Also, the website has some performance issues and their policies are not very clear but still I recommend shopping from them especially if you are looking for the Miss Claire matte lip creams. Sharing this so that no one else gets fooled like me …..